Goose the cat meeting Nick Fury for the first time. The interstellar, alien settings of Captain Marvel’s story are going to require quite few impressive visual effects to pull off, but a lot of the work that’s going into the movie is focused on de-aging Samuel L. Jackson and Clark Gregg so that the actors can reprise their roles as Nick Fury and Phil Coulson—albeit much younger versions of the characters. Marvel Studios has gotten wickedly good at using digital effects to turn back time on a number of actors’ faces for scenes set in the past. 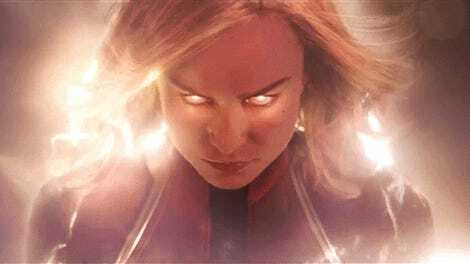 But the end product can, at times, come across as a little jarring to see in action, which would make you think the studio would be hesitant to put one of the modified actors’ on a high-definition poster for people to pore over, and yet...Captain Marvel defies expectations. 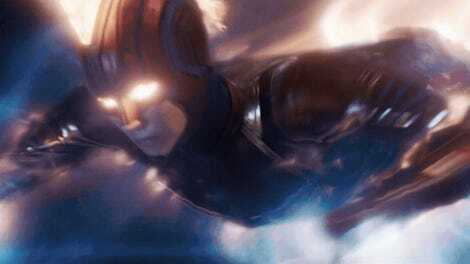 The latest batch of Captain Marvel posts feature all of the film’s major power players, like Carol herself, her Air Force buddy Maria Rambeau, and the Kree warrior Mar-Vell, but they also put the ‘90s-era Fury and Coulson, as well as Carol’s cat Goose, front and center for you to get a good look at. A quick consultation with our good friend Google will tell you...that isn’t really what Jackson and Gregg looked like back in the ‘90s, and the film’s gently asking you to use your imagination and instead try to think of them as instead looking the way Fury and Coulson would have at the time. But really, the most important matter at hand here is the cat. Goose (who is actually portrayed by four separate cats) is plenty cute, sure. 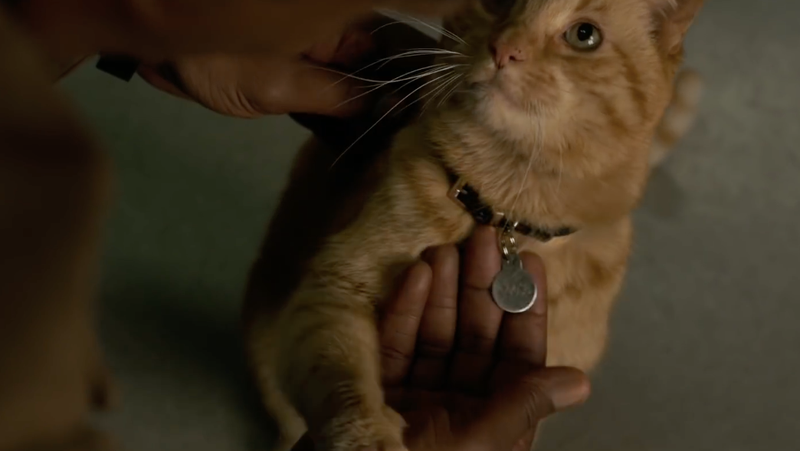 But what remains to be seen until Captain Marvel jets into theaters March 8, is whether Goose is really an Earth feline at all or a vicious Flerken the way its comics counterpart is.